I took the day off work to try to teach myself the Adobe suite. As you may have guess, I’m overwhelmed! 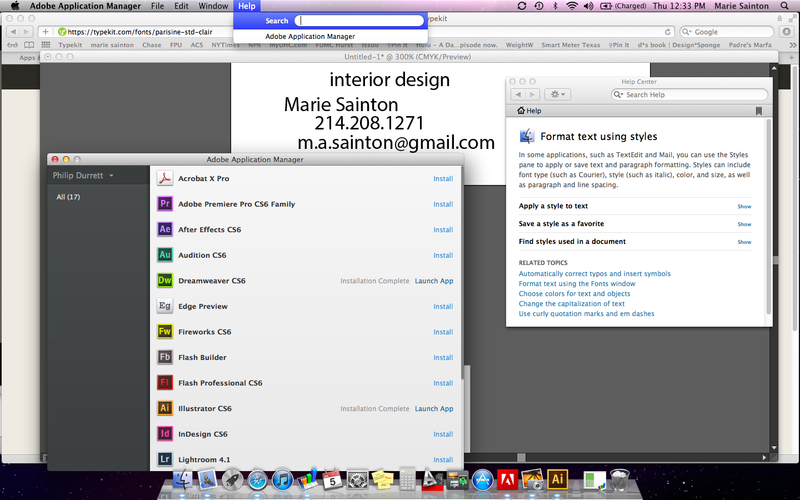 My boyfriend told me about the Adobe Creative Cloud–a subscription membership to all the programs! I know Photoshop pretty well, but I’d like to know more about Illustrator and then you start to read the list and think, “Yes, Muse sounds like a neat program…how hard can Dreamweaver be?” I opened Dreamweaver and subsequently closed it–too much for now. I’m also looking at getting a digital SLR and my favorite, from my research, is the Canon Rebel T3i–ridiculously better than my iPhone pictures. So get ready for some improvements on this site and blog! We’re going pro!